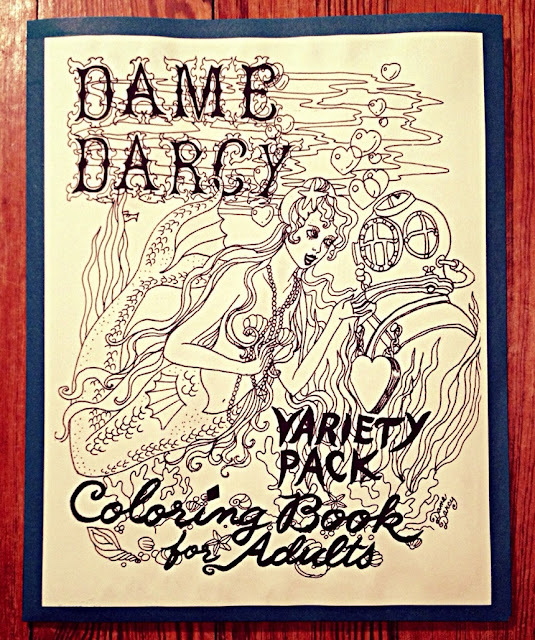 Get this 22 page digital coloring book here! Get this Dollerium book with her Hi-Jinx DVD here! 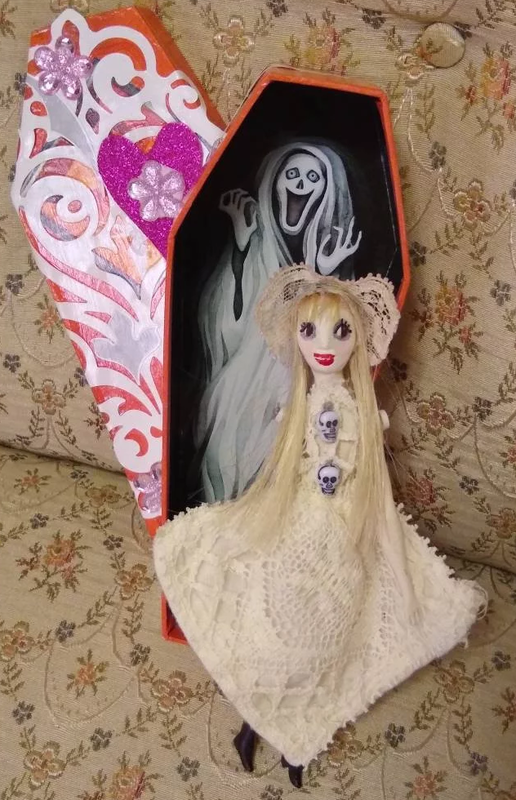 Get this doll and haunted coffin here! 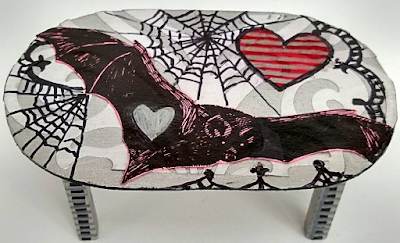 Get this bat doll table here! 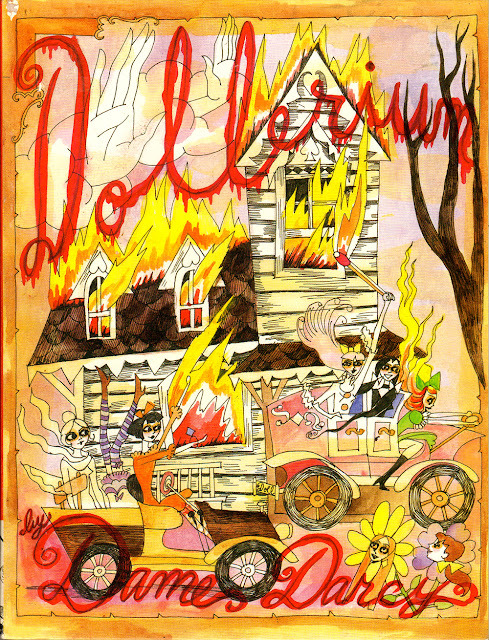 Sunday is the last day of the Doll Days Of Summer. So send me your doll photos before then to be featured here. August is Artist Appreciation Month, so send your artwork too.